The next time you’re in the market for a new automobile, simply head over to our location. 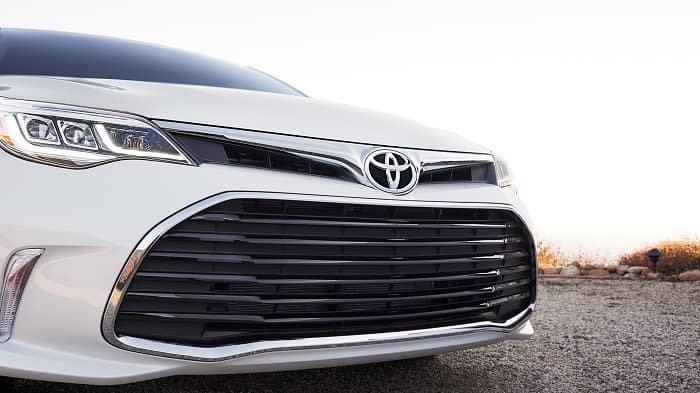 Our new car inventory includes exciting models, such as the 2018 Toyota Camry, the 2018 Toyota Prius, and the 2018 Toyota Sienna. Just as we maintain an extensive inventory of the latest Toyota models, we also carry a full line of genuine, factory-made Toyota parts. Regardless of whether you drive a brand-new or pre-owned Toyota car, you’ll have to replace a part from time to time. Being Toyota dealers serving Peachtree City, GA and nearby areas, we can tell you that certain parts will wear out as you accumulate mileage on your odometer. This doesn’t just happen on Toyota cars, but it happens on every vehicle produced by every car maker. When you consider the number of times you start your car in a typical month, it’s easy to understand why you’ll need to replace your automobile’s battery at some point. In addition to your battery, your tires, oil and air filters, and brake pads are some common things that have to be replaced over the course of a typical car’s life. Things like your brake pads and filters will probably have to be replaced multiple times during the time that you own your vehicle. Luckily, you’ll find all the replacement parts you need for your car in our Toyota parts department. From rotors to headlights, taillights, windshield wipers, Toyota accessories, and much more, you’ll find them all in our department. Of course, you’ll also have access to our Toyota service center when you visit our Newnan, GA Toyota dealership. This means, you can buy Toyota parts and have them installed by our factory-trained technicians in one convenient place. If you need OEM parts or accessories, check out our Toyota parts specials now! Whether you’re shopping for a new or pre-owned Toyota car, parts, service or financing, we invite you to visit our Toyota dealership. We’re here to help out with all of your automotive needs. Visit Toyota of Newnan for a customer service experience you won’t get at any other car dealership. We look forward to exceeding your expectations in the days ahead.